All of our products are produced in a sustainable manner and with organic resources. The products do not harm beneficial insects. If used properly and as advised, there is no danger for the environment, humans or animals. The products are available in different container sizes either as concentrate to mix with water or as ready to use variant. The well-matched and cost-effective way to healthy and stress-resistant plants as well as vigorous and sustainable soils. The granular fertilizer AMN Natural ActivÂ®-bio is perfect for the initial fertilization in spring or during planting activities. 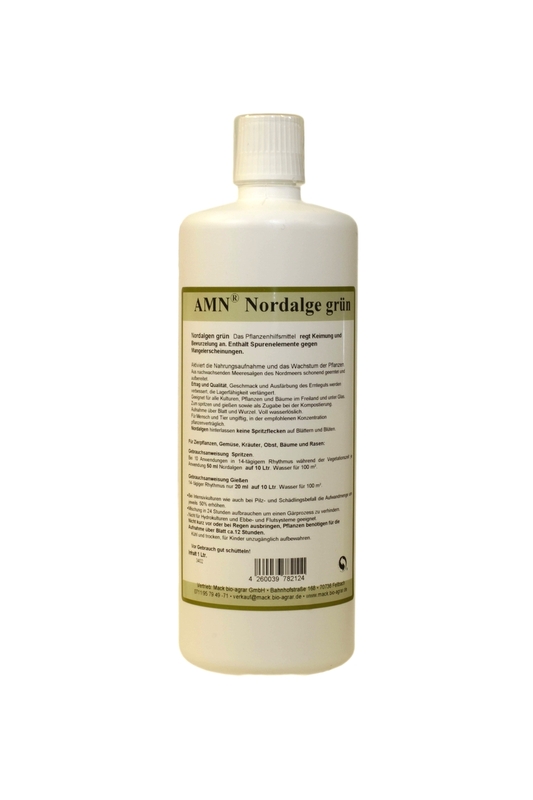 AMN FusekÂ® keeps the plant healthy and should be regularly sprayed or poured over the plant and root area. AMN PowerFertiliserÂ® is the perfect liquid feiliser for flexible application throughout the whole year. The use results in strong growth, a good look and if needed a good taste of the plant. The products can be purchased individually or in an attractive bundle. Granulated, organic fertiliser. Contains active and beneficial mycorrhiza fungi and trace-elements. Liquid plant fortification.Contains a manifold range of plant extracts and promoting micro-organisms. Liquid, organic fertiliser concentrate. Contains organic iron, plant extracts and homeopathic agents. Special plant cultures and growing conditions require special care. Our specialty products are there to help you solving challenges of plant health and nutrition. Liquid plant additive that also contains helpful amino-acids, trace elements and micro-nutrients. Strengthens the plantâ€™s natural immune system against sucking and biting insect pests. Liquid plant additive developed in more than ten years of research. Ideal root formation and healthy soils. Contains proteins, amino acids and vitamins, which are essential for plants and the development of micro-organisms and Mycorrhiza. Successful for young plants, orchids, cacti and vegetables. Developed according to the formula of the fertile primeval forest. Liquid and organic NK 2-3 fertiliser concentrate. Feeds the soil with fermented organic plant substances that improve soil fertility and results in sturdy plants. Especially successful with herbs, medicinal plants, and hibernation of plants. The usage of algae has a rich heritage in gardening and farming to care for plants and improve the soil. Rich of trace elements and amino acids that increase plant health. It is used especially successful for box trees and orchids. Liquid effective micro-nutrient fertiliser made of plant substances and natural iron-chelate. The optimal solution for plants that demand higher amounts of iron. E.g. citrus fruits and roses. Great for hydrangea, rhododendron and orchids. Nests of the company Schwegler for birds and bats are constructed according to their natural habitat and accelerate the settlement of birds and bats in your garden. In the summer months, birds feed on caterpillars, scale insects, and aphids. Bats are effectively hunting smoulders, mosquitos, and flies.